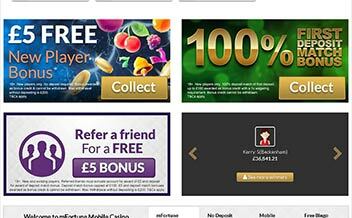 mFortune is a software developer and operator and currently operates several online social and real money slots in the United Kingdom, along with casino and bingo games on mobile and tablet. The company was founded in 2003 by Simon Wilson, and employs over 150 people with headquarters in Birmingham and additional offices in Bucharest, Romania. 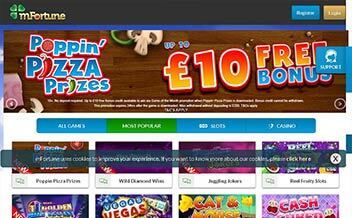 The company’s activities are licensed by the UK Gambling Commission. On the first occasion of entering the EGR awards in 2011, the company was voted number one in the Rising Star category. In 2012, the company won further awards including Best Mobile Poker Operator and Best Mobile Bingo Operator at the mGaming Summit, and Mobile Product of the Year at the EGR Awards. The company saw revenue of £16.5m during 2013. In 2014, mFortune was named in the London Stock Exchange Groups annual 1,000 Companies to Inspire Britain list and moved premises to create local jobs. In 2015, mFortune was nominated, and came highly commended, for an EGR Operator Award in the Mobile category, alongside Gala Bingo, Leo Vegas, Mecca Bingo, Sky Betting & Gaming, Unibet and William Hill and in 2016 was shortlisted for Queens Award for Enterprise. Thanks to its downloadable games and simple design, mFortune presents players with an easy to navigate playing arena. Games are easy to identify, whilst in-game graphics don’t take themselves too seriously, fun titles like Snake & Ladders and Cat & Mouse lack the 3D animations of a classic browser-based casino but still manage to captivate your attention with their colorful design. One account is all you need to access both the mobile and browser casino. The casino section has four games. European Roulette, Blackjack, Hi-Lo Poker and Texas Hold’em Poker. The latter is a UK licensed poker room. According to figures sourced from elsewhere, on average around twenty-five players use the mFortune poker room in any one 24 hour period. This compares to 24,000 at PokerStars! The small collection of casino slots includes takes on fairy tales (Hansel and Gretel), board games (Snakes & Ladders), bricks and mortar slots (Fruit Machine) and Japanese cuisine (Sushi Slots). 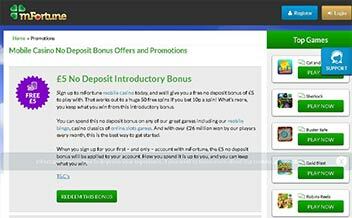 100% First Deposit Bonus up to £100! New British players are very lucky at mFortune Casino. If you are one of them, you have to register and make a deposit of at least 3 Pounds. You will receive a 100% bonus up to £100. Play any games you want and double your chances of winning. mFortune Casino invites all new players from the UK to benefit from a welcome package. Sign up and you will receive 5 Pounds for free. Use them to gamble on your favorite games. New players can start their adventure in the best way at mFortune Casino UK. Register and you will instantly get 5 Pounds for free. Use it on Sherlock Murdered to Death slot machine! There is no special code or deposit required. All you have to do is fill in the blanks with your info. Access mFortune Casino and get your hands on this bonus now! New British players can claim an awesome bonus at mFortune Casino UK. 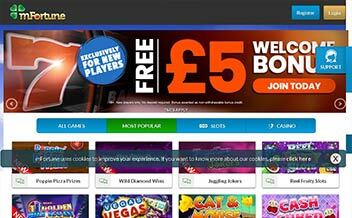 Access the gaming site, create an account, and you will receive 5 Pounds for free no deposit and no wagering.  There is no deposit required and no special code. mFortune Casino offers you 5 Pounds to play all your favorite games with. mFortune casino is always adding new games, player tournaments, and promotions. It is therefore very important to have the latest information regarding promotions, games and playing tournaments if you want to not only be a regular mFortune Casino player, but also one who makes money out of it. It is because of this reason that we have dedicated this section to provide the latest information and news that is crucial to any mFortune players, or anyone looking to join the casino. 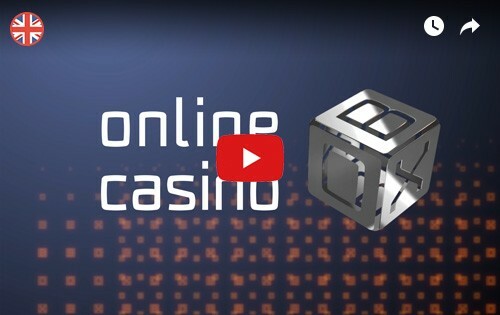 The casino uses its own in-house developed software and all games are unique and exclusive to the casino. They cannot be played at other online casino destinations. mFortune casino focuses on a simple and clean design. You will discover that all the products are neatly arranged. Promotions come first, games right below them, and at the bottom of the page, you find all the other features. What is awesome about this homepage is the background. Its animations contribute to the creation of a great atmosphere that will make you come back for more. Payments that is, deposits and withdrawals can be done via VISA, MasterCard, Paysafe card, PayPal, Skrill, and Payforit. mFortune is compatible with all operating systems (Android, Blackberry, Mac, Windows, Ios), so basically, you can load the mobile version via any tablet or smartphone. If you are into casino games, you might be delighted to know that currently, the mobile version offers many games. The slot section is more diverse. You are given access to Roulette, Blackjack, and Casino Hold’em. The online casino is very user-friendly. It is easy for first-time users to catch up with the new games and ideas. The navigation is good and the organization of the content is good because it has a search box that makes life so much easier. mFortune web casino layout is easy to navigate and clean. The site has an extensive menu at the top to make it easy for players to navigate the site. The user-friendly interface combines a feeling of adventure and comfort ensuring that a player loves every second they spend playing on the site. Mobile gaming is apparently mFortune’s bread and butter. And to satisfy players who are absolutely determined to gamble on the go, they provide a downloadable app which operates across small devices. All of the games are available (not difficult considering how small their range is) and are tailor-made for mobile. Each game needs to be downloaded beforehand which is a bit of a drag. However, they operate very smoothly and make the most out of a mobile’s limited processing capabilities. ‘Adequate’ is the word that comes to mind when considering mFortune’s mobile offering. You can’t play games online using mobile. You have to download the game first. Fewer games available compared to both desktop and web versions. Mfortune Casino upholds the security of its players with utmost importance. The casino has several security measures in place to ensure they protect their customers. Player identity and financial information are protected by a 128-bit SSL encryption. The casino has also put in place the latest computer safety and firewall technology systems to enhance security. MFortune customer support is outstanding and includes live chat, a callback option, and an email address. They aim to make callbacks within 5 minutes and there’s a 24-hour deadline for email responses. Their telephone support service, which is a UK based call center, is available 24 hours a day, 365 days a year. There is also an extremely detailed FAQ section, help videos and a guide to installing mFortune’s mobile apps. It has won an impressive collection of mobile casino awards over the last few years. It has no table games, live dealer games or video poker. Considering that you can deposit as low as £3 and can play 10p for each game to win a huge jackpot along with promising regular bonuses and promotions with zero wagering requirements, mFortune mobile casino is truly a fast, simple and straightforward mobile casino you can enjoy and make a fortune on the go.